One of the most powerful questions you can ask yourself is “Who Am I?” Most people answer either with their job title, their gender or a role that they play, i.e. father, mother, wife, husband, sibling and so on. 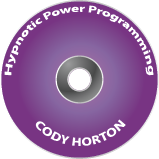 This hypnotic meditation will put you in touch with the part of you that is so much more, so grand and extraordinary!